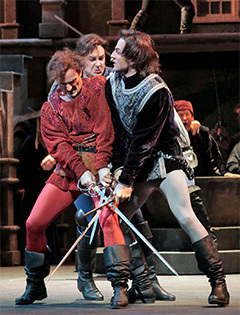 "City Opera, a company launched in San Diego last summer, has turned Argento’s songs into a fully staged opera for three singers with costumes, scenery and evocative direction by City Opera’s co-founder Cynthia Stokes. With just four chairs, a few ropes, a cloudy backdrop and a blanket of paper confetti “snow,” Stokes’ creative flashback staging begins with Yeager’s Frænkel alone on the ice, giving silent testimony that he will uncover and preserve the mystery of the failed expedition. 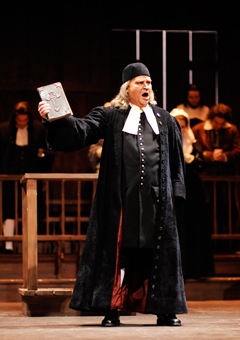 Yeager’s booming voice, charismatic stage presence and solid acting skills ground the story theatrically. Stokes ends the engrossing piece with a surprising and moving theatrical flourish that features a soulful and stylish reunion of the dead and dying. 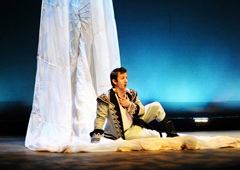 Opera is at its best when it’s visceral, and City Opera’s imaginative conception of the tragic, true story of the Andrée Expedition has proven to be a natural." "Sometimes you wonder how they do it. 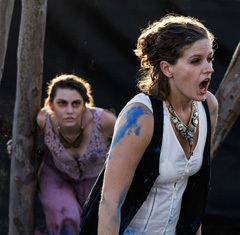 Case in point: the San Diego City Opera’s inaugural production of “Queen of Carthage” at the La Jolla Playhouse’s WoW Festival. The first production of this new opera company founded by director Cynthia Stokes and conductor Cory Hibbs was produced with minimal resources… It was done outdoors in a Eucalyptus grove near Scripps Institution of Oceanography, presenting a myriad of challenges. And yet, somehow, some way, they got to the beating, beautiful, timeless heart of Purcell’s 1688 masterpiece. 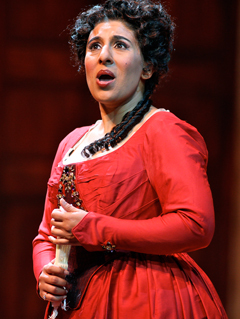 Their 45-minute reduction of Purcell’s “Dido and Aeneas,” renamed “Queen of Carthage” was an inspiration. You left thinking this was music you could hear for an eternity, and that’s probably how long it will continue to be played. 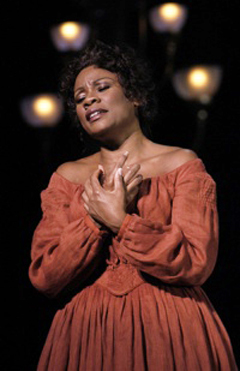 Stokes made the most of what resources she had, always stressing the most human aspects of the story and having her characters interact in a natural, unaffected manner. Somehow it worked. Somehow it connected in a very elemental way. Don’t ask me how. " "…compelling… full of strength and beauty… a searing journey through death and grief." 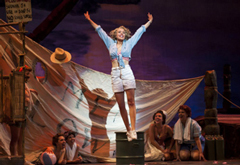 "From top to bottom the Piedmont Opera’s South Pacific is entertaining and intellectually satisfying. (Stokes) ask the big questions about ethics, morality, and national identity in the face of the violent reality of war and at the same time allows the show to breathe, laugh, and percolate with the joy of performance. This first 2014 production is a moving and hilarious entertainment that works hard to give audiences what they come in out of the cold for. 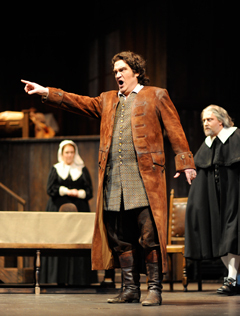 The Piedmont Opera is alive and open for business… and business is booming." "From the opening notes of the overture to the finale, this “South Pacific” was a joy to behold and hear… wholehearted and full-out…a cast that sounds good, looks good and can act. This is a show that you can get lost in, can absolutely go live in for three hours and not regret one second of it." 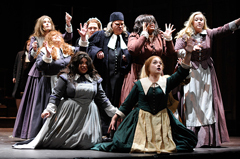 "The singing and acting establishes the best success yet for San Antonio’s chamber opera company… The blend of music, story and characters was pitch-perfect for a quality evening of entertainment"
"…director Cynthia Stokes, added the right touches to make the mysterious story more human." "…well sung…well acted. 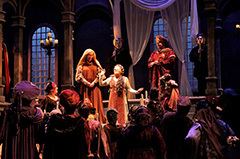 Stage director Cynthia Stokes crafted a scaled-down, modern version of the opera, setting it in contemporary New Jersey instead of 1840s Italy." 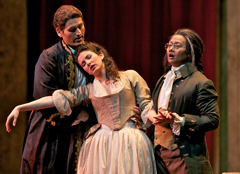 "Director Cynthia Stokes’ take on Donizetti’s Don Pasquale is unique and shows the fledging company’s affinity for breaking the mold…the innovative take on this classic comedy is fun and refreshing." "I saw a preview of Phil Johnson and Cynthia Stokes' work-in-progress. Johnson plays all 21 characters in Sir Arthur Conan Doyle's dark and stormy — and precisely literate — tale of mayhem on the foggy moors of Devonshire… hilarious homage to every performer eager for their close-up, Mr. DeMille — and yet sincere as well…. 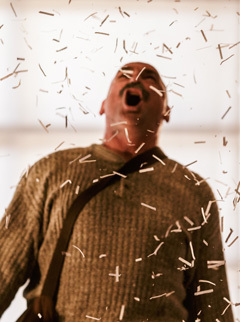 director Stokes, who conceived the project, keeps the suspense alive…Call it a gentle madness…bulls-eye." "Stage director Cynthia Stokes took a middle-of-the-road approach, not leaning to slapstick nor playing it overly serious … nothing went for the easy laughs…she was dead on. 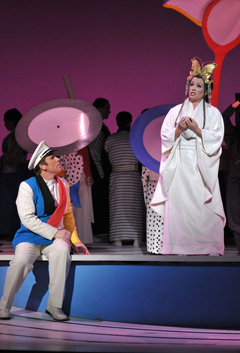 …a delightful and engaging production of a rarely produced comic opera." "The big question now is whether the opening-night performance on Friday would live up to all the excitement. 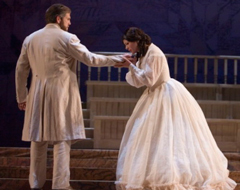 I am happy to report that it did — and then some…sterling direction… all the right stuff … gripping portrayals…"
"An excellent performance that will remain in the memory of San Diego opera-goers for some time to come." "Cynthia Stokes directed. 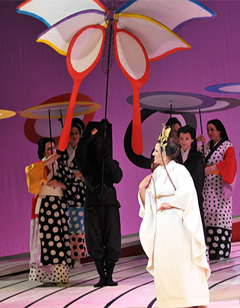 A veteran of the opera stage, her experience shows in the facility with which she marshals her nine-member cast playing twice as many roles in scenes veering from narration to confrontation, dance to mime, and even a little folk play within the play…lovingly produced and well directed." "Dooley has a particularly defined tone created by Cynthia Stokes…her direction is handsomely achieved with a grace and economy." 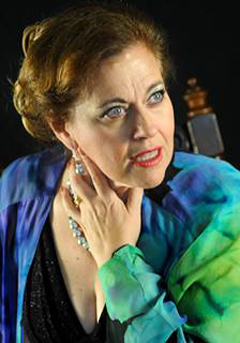 "Stage director Cynthia Stokes found a good balance -- activity without frenzy, comedy without resort to burlesque, sensible detail without fussiness."